Recently I Installed the Google XML Sitemap plugin for WordPress in order to help search engines discover and index my blog’s content. I chose this plugin based on the great ratings it had received and easy to use settings interface (pictured below). The one thing I didn’t expect was a 404 error when I tried to visit the sitemap.xml page. I tried updating my .htaccess file, I double checked my robots.txt file, I even tried exploring the content of my 404 template wondering if it was somehow overriding calls to sitemap.xml but nothing came up. 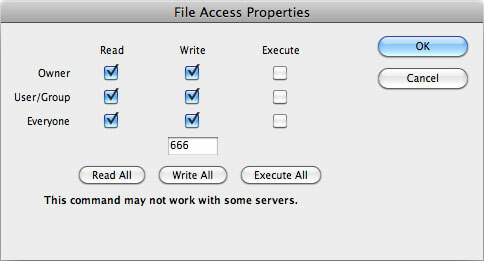 I explored the web and finally realized the issue was that the Google XML Sitemap plugin wasn’t able to create the actual sitemap.xml and sitemap.xml.gz files on my server, I had to do it manually then set their file access properties to 666, full read and write permissions (pictured below). This entry was posted on Sunday, December 11th, 2011 at 8:10 pm.